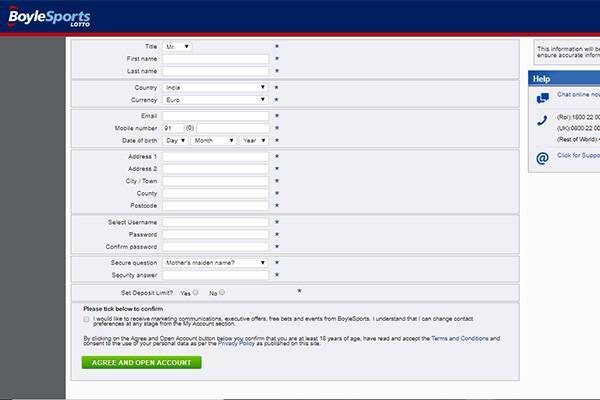 Purchasing tickets for your local, national or even international lottery games is quick and easy to do online these days. We offer in-depth reviews on dozens of top online lottery ticket carriers for both the UK and international markets. These are a must-read, especially if you are looking to make the most out of your online lottery ticket purchasing power. However, if you are looking for a different alternative to buying lottery tickets and having to think of your luckiest numbers, we also cover a range of specialized online lottery betting sites. These sites allow you to actually bet on the draw results of lotteries, instead of buying tickets, which a lot of people are now enjoying. The following in-depth reviews take a closer look at BoyleSports, a leading Irish sportsbook now offering a wide range of international lottery betting opportunities. BoyleSports is one of Ireland’s leading bookmakers, with well-over 250 betting shops scattered throughout the nation. In addition to their brick and mortar betting shops, BoyleSports offers online sports betting, covering a wide range of sports for the local, UK and international markets. BoyleSports has been in existence since 1989 and are a well-established and trusted online betting brand, used by millions of bettors every day. One of their newer options is online lotto betting, something that is quickly becoming very popular all over the world. Unlike online lotto ticket carriers, that offer access to a range of international lotteries, lotto betting allows you to simply bet on the results of various lottery games. Lottery betting is popular for a number of reasons, for one, you do not have to commit to just picking six or seven numbers, but can rather choose from a range of betting options instead. This is very similar to how one goes about betting on a football match, which is probably why more and more online sportsbooks are now offering online lotto betting as one of their markets. BoyleSports has jumped in on the action and now features a separate BoyleSports Lotto platform which you can access from a single BoyleSports sportsbook account. 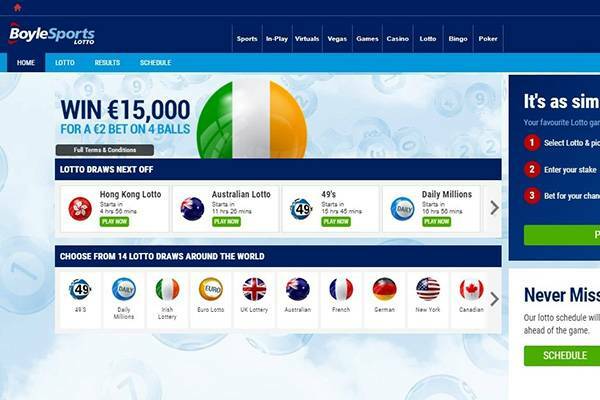 Unlike a number of other online lotto betting platforms, BoyleSports covers quite a lot of ground, offering betting options on at least 13 different international lotteries. We’ll get into more detail as to which lotteries are currently available and how lotto betting works at BoyleSports a little further down in this review. In addition to lotto betting, BoyleSports now offers a full range casino, bingo, poker and of course, a wide range of existing and newly added sports markets. The BoyleSports Lotto page forms part of the BoyleSports website and operates on the same web technology that the main site uses. 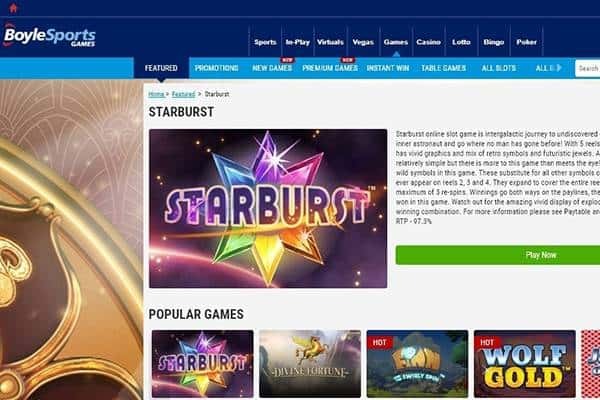 This boils down to a fast and efficient website user experience, across all of their offerings, including their sportsbook, casino, bingo, and poker pages. 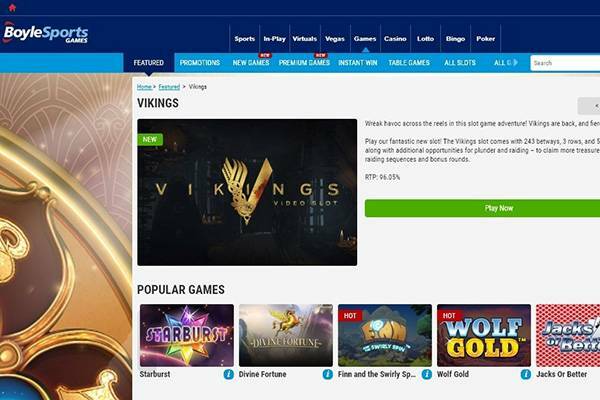 Once you’ve signed up for an account with BoyleSports, which allows you to access any of their features, you can simply navigate to their lotto betting page. 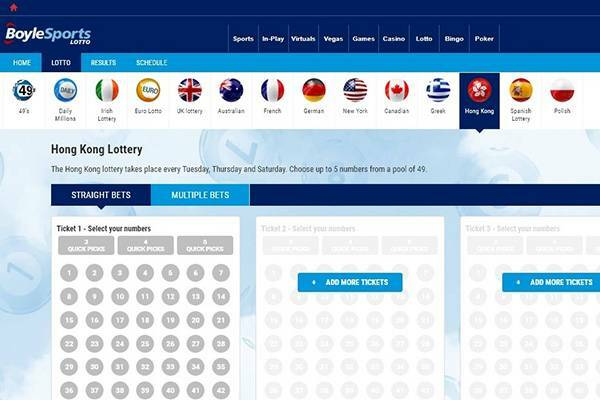 There are currently around 13 different lotteries which you can bet on and each is represented with a graphic of their respective country’s flag. Clicking on one of these flag logos will bring up a dedicated table containing several betting options. This includes straight bets and multiple bets, each with its own set of additional options. The straight bets option is really simple and you will see a ticket square allowing you to make your predictions on with round number positions 1 – 49. Simply click on the numbers that you think will be drawn and then select your draw dates and add your stake. You can also select 3, 4 or 5 quick pics as well as selecting new tickets in the open windows to the right of your current ticket. BoyleSports have made it as easy as possible to play straight bet lotto tickets. Switching over to the multiple bets option will give you the same basic interface where you can select your numbers from. However, in addition to being able to select your numbers, you can also select our bet type, from singles or doubles, once you’ve selected more than one number on the ticket. You can also select your draw dates which include main draw as well as Lotto Plus 1 and Lotto Plus 2 options. BoyleSports Lotto currently covers over 13 different lottery games from around the world. This gives you plenty of opportunities to bet on an incredible range of lottery draws, all from a single account. Each lottery comes with its own betting table and odds. 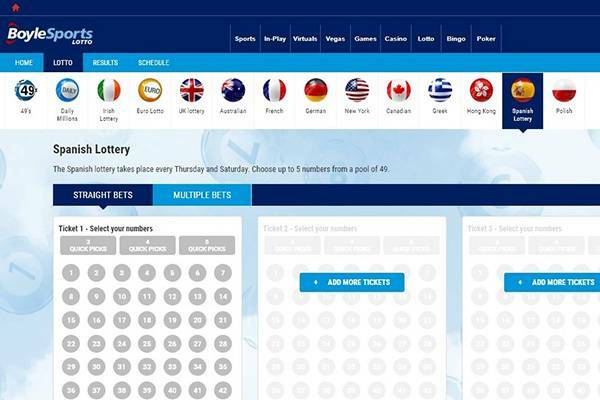 We’ve listed the current selection of international lottery games for you here, as well as their relevant pool size and current draw days and times. 49’s – The 49’s draw takes place at 12:49 and 17:49 BST. Select up to 5 numbers from a pool of 49. Daily Millions – The Daily Millions draw takes place at 14:00 and 21:00 BST each day. Select up to 5 numbers from a pool of 39. Irish Lottery – The Irish lottery takes place every Wednesday and Saturday evening. Select up to 5 numbers from a pool of 47. Euro Lotto – The Euro lotto draw takes place every Tuesday and Friday evening. Select up to 5 numbers from a pool of 50. UK Lottery – The UK lottery draw take place each Wednesday and Saturday. Select up to 5 numbers from a pool of 59. Australian Lottery – The Australian lottery draw takes place every Saturday morning. Select up to 5 numbers from a pool of 45. French Lottery – The French lottery draw takes place every Monday, Wednesday, and Saturday. Simply select up to 5 numbers from a pool of 49. German Lottery – The German lottery draw takes place each Wednesday and Saturday. Select up to 5 numbers from a pool of 49. New York Lottery – The New York lottery draw takes place every Thursday and Sunday. Select up to 5 numbers from a pool of 59. Canadian Lottery – The Canadian lottery draw takes place each Thursday and Sunday. Select up to 5 numbers from a pool of 49. Greek Lottery – The Greek lottery draw takes place every Wednesday and Saturday. Select up to 5 numbers from a pool of 49. Hong Kong Lottery – The Hong Kong lottery takes place every Tuesday, Thursday, and Saturday. Select up to 5 numbers from a pool of 49. Spanish Lottery – The Spanish lottery takes place every Thursday and Saturday. Select up to 5 numbers from a pool of 49. Polish Lottery – The Polish draw takes place every Tuesday, Thursday, and Saturday. Select up to 5 numbers from a pool of 49. The BoyleSports website can be accessed from your mobile browser in much the same way as you would access the site from your desktop device. While there is no need to download any apps to your mobile device, those that prefer using an app can visit either the Google Play Store or iStore to download the app to their Android device, iPhone or iPad. The BoyleSports Lotto mobile platform features all of the conveniences and features that you can access from your computer, including secure mobile banking, the same lotto betting user interface, mobile support and more. While BoyleSports does not offer specific promotions or bonuses for their lottery betting players, anyone that has signed up for a BoyleSports user account can enjoy their range of bonuses, promotions and rewards. This includes a range of free bet promotions, best odds guaranteed, opt-in promotions and a VIP rewards scheme. The VIP or loyalty scheme rewards players for their patronage, and includes free bets as well as VIP trips and invites to top sports and racing events. BoyleSports Lotto accepts a wide range of payment options, making it very easy and convenient to bet on lotteries. You’ll find all sorts of popular options available, including Visa and MasterCard credit and debit card options, as well as fast eWallets like Neteller, Skrill and PayPal. Other options include InstaDebit, PaySafeCard and Boku for fast mobile payments. Customer support options are fairly extensive and include a live chat facility which can be opened from any page on the top right of your screen. In addition to a fast live chat feature, BoyleSports features support via social media, including Twitter and Facebook options. There is also an email and phone support option, as well as a handy FAQ section. BoyleSports has been a trusted name in sports betting and horse race betting for close to three decades. They have over 250 brick and mortar betting shops scattered throughout Ireland and offer regulated and licensed online sports betting, casino gambling and lotto betting through the UK Gambling Commission and the Gibraltar Gambling Commissioner. For anyone looking for a great alternative to buying lottery tickets and hoping for the best, betting on lottery results at BoyleSports is certainly worthy of consideration. BoyleSports features a simple and easy to use website interface which you can access just as easily on your mobile device. With over 13 different lotteries to select from, as well as a host of betting options and great odds, BoyleSports Lotto is a great place to start. At least 13 different lottery games on offer.